Ron, OK, I will run that tomorrow and post the docs here. Thank you for your help. Hello, I ran msconfig and stopped several programs from auto start. Now the computer runs not that slow anymore. Are there anything else I should do at this point? Thank you very much! Hi @LiquidTension I am pleased to meet you again. I've seen this setting and it was set like in your screenshot. However it could need a renaming. Windows Action Center - in my head - relates more to "Notification Center" than Microsoft Security Center in Windows 10, which it is named now for while. Do you see my point? to your questions: To be honest I cannot tell if the performance issues will be gone as soon the premium trial is expired because all machines tested have a premium subcription active. I could think of that a certain module is causing the performance troubles - you'll certainly remember the Win7 incident some months ago. At least in Premium (trial) the issues will be reproducible for me. On all machines there is full Spectre / Spectre NG protection enabled and Retpoline. This includes one setting is not enabled in 1903 by default such as SSBD This is the output from SpeculationControlSettings on all affected systems BTIHardwarePresent : True BTIWindowsSupportPresent : True BTIWindowsSupportEnabled : True BTIDisabledBySystemPolicy : False BTIDisabledByNoHardwareSupport : False BTIKernelRetpolineEnabled : False BTIKernelImportOptimizationEnabled : True KVAShadowRequired : True KVAShadowWindowsSupportPresent : True KVAShadowWindowsSupportEnabled : True KVAShadowPcidEnabled : True SSBDWindowsSupportPresent : True SSBDHardwareVulnerable : True SSBDHardwarePresent : True SSBDWindowsSupportEnabledSystemWide : True L1TFHardwareVulnerable : True L1TFWindowsSupportPresent : True L1TFWindowsSupportEnabled : True L1TFInvalidPteBit : 45 L1DFlushSupported : True The logon issues were reproducible on my computer, whilst the temporary freezes affected only the other one (both are very new machines). Unfortunately this is no longer the case in 1903, but it is / was the case in 1809. The issues in this context are easily reproducible. If you can install a 1903 and install MBAM I think you will get a sufficient picture of the misbehaviour. MSFT team said it is ok that is registering per default. I am also ok with it - but it should not happen that an expiration of trial premium will leave the customer unprotected. Also it is not expected that the option to setup sporadic scans for Defender will turn off. The issue that the Security Center does not show up a button to re-enable Defender is supposingly a Windows releated. Hopefully I will able to proceed with further steps and the tool as in post #2 on Tuesday or earlier. I also consider to stop my Acronis Backups weekly so we can revert to the state before the uninstalls today. PUP.Optional.MySearchDial coming back after every scan and removal. 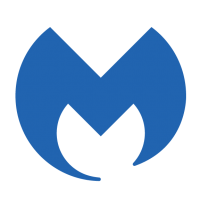 Since I have Windows 10 malwarebytes does not open. I have tried several suggestions without success. MSN is no help.